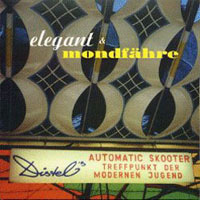 Being discontent with the barely excisting german pop scene, elegant was born in summer 1997. Besides bands from Hamburg, who rarely do P!O!P! music in the strict sense, there was almost no band that performed music like english or swedish bands do so easily. New german musicians rather peeked at american bands. The task was to combine popmusic with an english flair with german lyrics with keeping the harmony and balance between both. 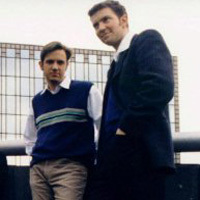 german lyrics, mondfähre are ex- blinzelbeeren, mod-beat-pop with german lyrics with their song being remixed by low-fi-generator. first release of elegant.